Let's be honest. The writing has been on the wall for years now. Borders, Inc. has not been a healthy company. Sales have been off, stock price has been down, down, down, and the vision of the company has been, to put it mildly, schizophrenic. Change is a constant in business, but the frantic pace at which Borders has embraced it (frantic? maybe desperate is a better term) has served merely to highlight the fact that Borders was having an identity crisis. Both customers and the market noticed this. Today, Borders announced that it is looking to sell itself. Tom and Louis Borders must be spinning in their proverbial graves. 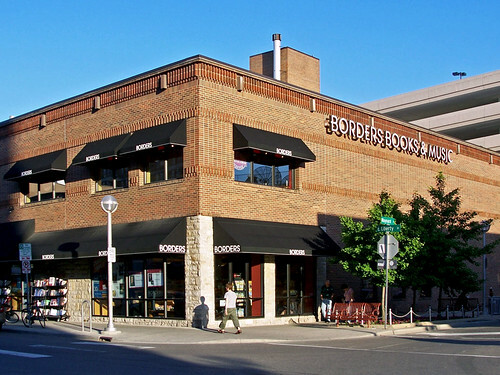 From Publishers Weekly: The possibility that Borders may one day be for sale has been discussed in publishing circles for several years, but that chance became more likely with the early morning announcement from the bookstore chain that it had hired J.P. Morgan Securities and Merrill Lynch to help it explore strategic alternatives. Those options, Borders said, include the possible sale of the company and/or some of its divisions. I worked for the Borders Group for ten years, and I'm sad to see this day. I wish all the employees the best and hope this brand, this institution, this bookstore I used to drive hours to visit finds a way to survive. That is very sad news I had no idea, I always loved Borders, I used to shop at the Philadelphia all the time back in the early 90's, at that time no matter how obscure there wasn't a thing they didn't have or couldn't get. I really hope it pulls through.